StealthChat is an industrial strength chat application for professionals that value real privacy and security. With advanced end to end encryption, StealthChat ensure that only the sender and recipient have access to the content of the message or phone call. Focused on the enterprise market and the privacy seeker with these features will surely protect privacy and maintain the confidentiality during communication. Where sharing documents and video files is one of the roadmap for the next release. Encrypted Group Chat.Consistently to present a security in communication, StealthChat has develop and added the newest features of Encrypted Group Chat offer secure conversation without loopholes. What makes Group Chat in StealthChat different? Secure Group Chat. Messages encrypted using "off-the-record Messaging" (OTR) protocol. Each message is encrypted with a unique key pair AES 128 (Advanced Encryption Standard) resulting in unexpected situations if your network is tapped, the data can not be read. StealthChat implement screenshot-proof that prevent the spreading of the conversation to other parties outside the group members. Free to add Unlimited members. Enjoy chatting with unlimited friends in a group. Start to create group chats and add participant as many as you want. Be ready to upgrade StealthChat from your smartphone to take advantage of these new features. Available now on Google Play or App Store. Today Rockliffe launched StealthChat – Private Calls and Chats. StealthChat is a cross platform app for iPhone and Android that provides end-to-end encryption for both chats and VoIP calls. 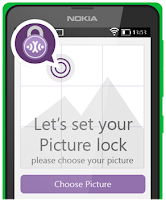 StealthChat is a secure cross platform app that encrypts all messages, phone calls and photos. StealthChat uses patented technology that generates unique key pairs on the end devices for each session. The key pair is then used to encrypt all chat messages, phone calls and photos sent between the devices. StealthChat works over cellular and Wi-Fi connections and is free, fast, reliable and lightweight. 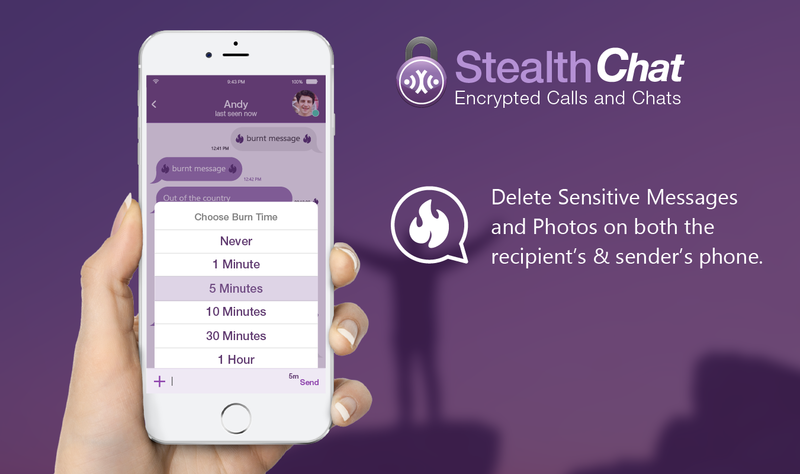 In addition to end-to-end encryption, StealthChat provides a “burn” feature. This feature allows you to send a message or a photo that will be “burned” after a pre-set time on both the recipient’s and sender’s phone. The sender controls the burn time and can set it ranging from “never” to 24 hours. 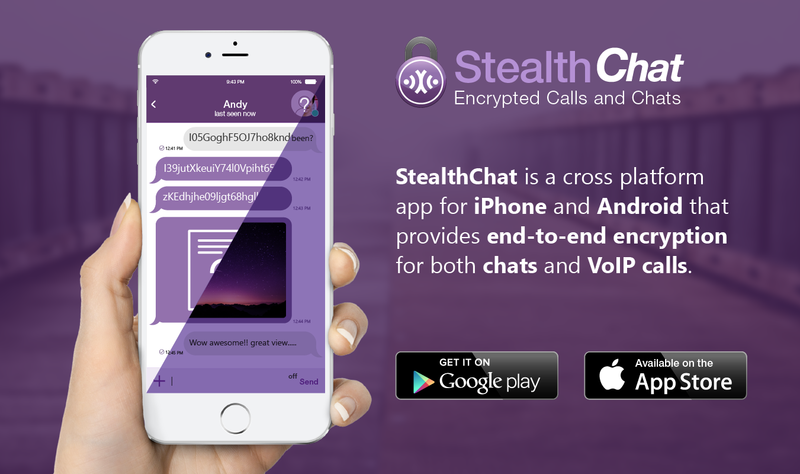 StealthChat is available today in the Apple App Store and Google Play Store. Laura Poitras' Edward Snowden documentary, CitizenFour, won the award for Best Documentary Feature. It begins with Poitras's narration of one of her first messages from Snowden. He signs it with a pseudonym, CitizenFour. Revealed the classified NSA documents to journalist, Snowden are the man who broke the veil of secrecy and the NSA's invasion of citizens' privacy. Citizenfour, offers an inside look at the first week of the Snowden leaks.The film's not concerned with breaking news, but we get a new insight into Snowden's state of mind during the leaks and his decision to break with the NSA in such a powerful way. Laura Poitras and Glenn Greenwald are among the few who reported fearlessly on controversial topics. it is not easy to making Citizenfour. Communicate by an encrypted e-mail that only Poitras could open(with her private key), being detained, interrogated and placed on a watch list. While her previous work as a documentary filmmaker has exposed her to danger, working on the NSA disclosures brings a new level of personal risks. A number of apps have come forward to address this security issue with private and secure messaging or calling. It because instant messaging is more convenient than email, and more secure than SMS text messaging for quick and easy communication — if you have choose the right app.StealthChat, available initially on Android but will launch coming soon to iOS, increases the competition to provide secure communications even further. So what sets StealthChat apart from the others? StealthChat uses a unique, simple picture to lock and unlock your screen. With super strong cryptographic protocol for instant messaging conversations and file sharing, StealthChat could become your Private communication system to protect your business and personal privacy.The app incorporates an additional 3-layers of security to make data such as messages, pictures, and even the display impossible to read or be intercepted by others. This means that only the sender and the recipient of a chat session can read the whole content of the conversation. Also No message history or phone book content is kept by us. 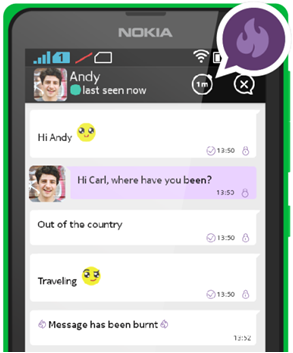 With Self-Destructing Messages feature on StealthChat you can take control of your message lifetime. It’s easy to use Secure Messaging for Everybody who care about privacy ! Get your secure communication today! StealthChat available on Play Store and Apple Store (Soon)! 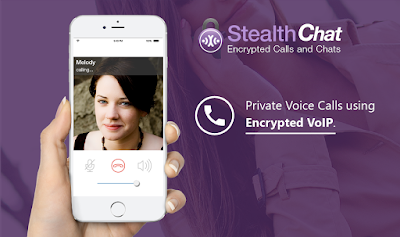 No more worries about eavesdroppers , all all of your communicaton safe with StealthChat – Private Calls and Chats (Previously known as StealthChat)!